A pair of female pickpockets stole a woman’s necklace and bracelet while giving her hugs of thanks. Letter from Ehan and Cameron from Ehan and Cameron, in Kingfisher class at Birches Green Infants School 17th March 2016 The children at Birches Green Infant School, Class 6 Kingfishers, are holding a healthy Easter Egg hunt. Plans to develop the site of the Smithfield markets near the Bull Ring in Birmingham will be unveiled on Monday 21st March. The March edition of Tyburn Mail is out now. The sugar-tax announced in yesterday’s budget is a big hit with one local sports guru. Kingsbury School and Sports College expects to become an academy in the next few weeks. All smiles: the first wave of shoppers at Primark, The Fort Hundreds of shoppers queued outside Primark at The Fort Shopping Park. The Sanctuary building in Castle Vale, part of Compass Support The Sanctuary building in Tangmere Drive, Castle Vale, has office space available. A man has pleaded guilty to theft and possession of drugs at Birmingham Magistrates’ Court. A kind-hearted Barr Beacon School student has chopped her long locks off to support children affected by cancer. Bowls expert Bob Love shows how he overcomes his disability in the sport A bowls expert who was born without arms showed youngsters how he overcame his disability at a sports event for disabled youngsters. STAFF and children at a nursery school in Erdington have scooped full marks for their healthy approach to keeping fit after receiving a special award in recognition of their efforts. Court injunction has wiped out car cruising in some areas…..
A court injunction banning car cruising in the Black Country “has reduced the problem across much of the region – and eradicated it altogether in many areas. The demolition team from Garvey have started work on the Cincinnati site Demolition experts have started work to dismantle the former Cincinnati factory building on adjacent to Kingsbury Road. Advice for patients ahead of the junior doctors’ strike, from NHS Birmingham Cross-commissioning group A national junior doctors’ strike is taking place this Wednesday, 9 March, for 48 hours; effective from 8am until 8am on Friday 11 March. Erdington’s CMA Moldform , established in 1990, provides design and casting facilities for industry, optical art moulding, centrifugal and vacuum castings, and high capacity rotacasting. 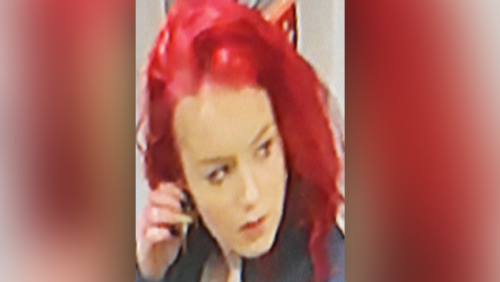 MISSING TEENAGER: Have you seen Alesha Timby? Alesha Timby, aged 15, from Erdington, was last seen at around 6PM last Thursday (3 March). POLICE are appealing for help to trace a 15-year-old girl from Erdington who has gone missing. A woman who was jailed last year after magistrates told hr that she had an appalling record of shoplifting has admitted stealing from a shop again. A THOUGHTLESS yob stepped out in front of an Erdington ambulance deliberately stopping it responding to an emergency call. It’s week 10/15 of CBBC series Our School tomorrow (Tuesday 8th March). Auditions for Castle Vale’s Got Talent take place next Saturday, 12th March. West Brom 1 v 0 Man Utd West Brom striker Salomon Rondón was man of the match against Man Utd. A man has been charged following the stabbing of a heavily pregnant woman in Sutton Coldfield on Friday afternoon.